Animal Biological Safety Level 3 (ABSL-3) Laboratories have unique design and engineering requirements. 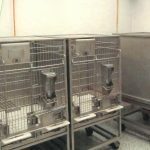 These labs must meet all the rigorous specifications of a BSL-3 facility as well as additional requirements for properly housing and handling animals. ABSL-3 labs require advanced primary and secondary containment systems for handling any potential hazards to personnel or the environment. Additionally, the facility must be constructed so that it is highly durable, easily cleaned and meets all parameters for animal well-being. 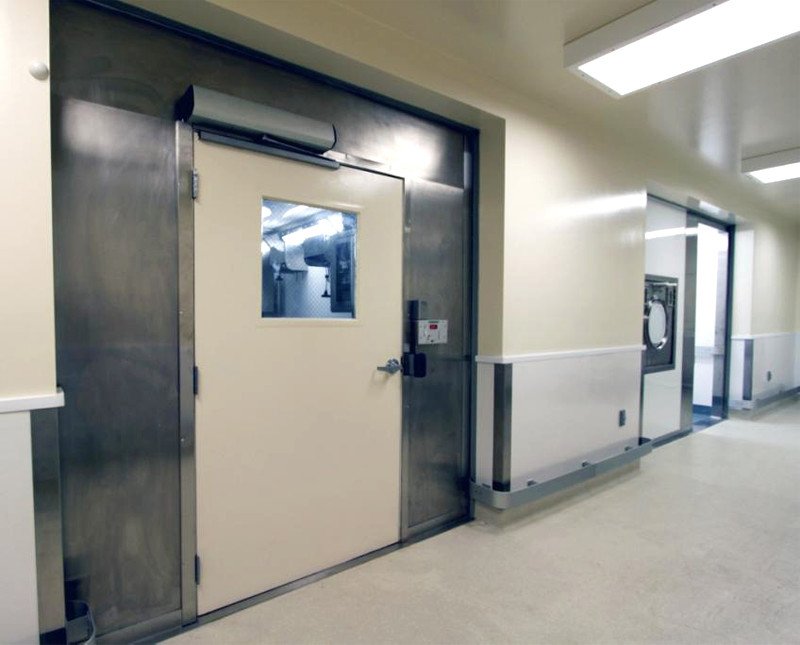 We have been manufacturing bio-containment systems for more than five decades. Germfree has delivered complete modular BSL-3 and ABSL-3 laboratories worldwide. 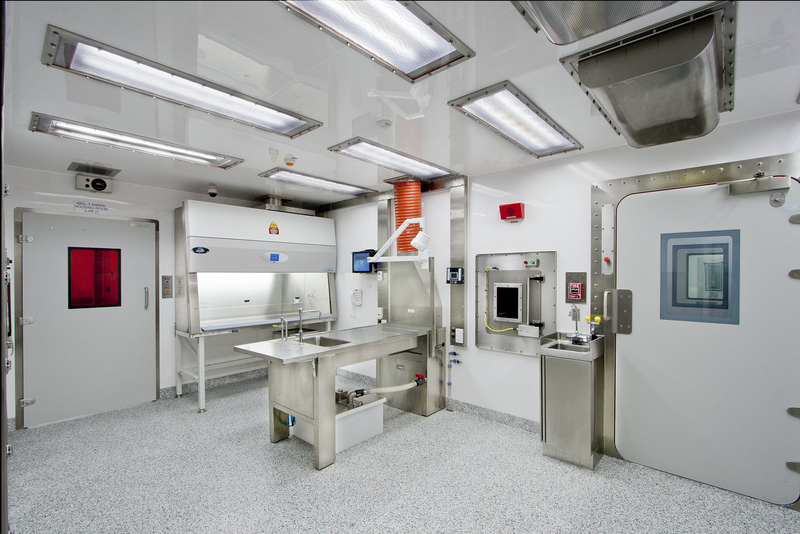 Our Modular facilities let you expand your existing laboratory operations or deliver new ABSL-3 capabilities to your site. These labs also play a critical role in bringing ABSL-3 capabilities to geographic areas where Biosafety Level 3 operations may previously have been unobtainable. Additionally, Germfree Modular helps you avert delays that are typical of standard construction, insuring a dramatically reduced construction timeline. Germfree offers comprehensive in-house design, space planning, engineering and manufacturing capabilities. 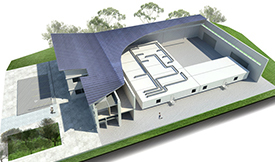 Our collaborative design process includes 3D modeling and a comprehensive design review process. Our F.A.T. (Factory Acceptance Testing) includes all certification and commissioning applicable to your project. Germfree has extensive experience with export controls and international installations. We also provide on-going maintenance and training programs. Our laboratories meet or exceed all applicable guidelines for CDC-NIH BMBL 5th Edition and WHO; all facility standards compatible with AAALAC accreditation and all specified requirements for SA registration. • General research related to endemic or exotic threats to animals. • Work with Highly Pathogenic Avian Influenza (HPAI) and other emerging diseases. • Aerobiology studies as part of the CDC/NIH Regional Biosafety Laboratories (RBL) project. Germfree’s ABSL-3 laboratories are designed to meet the requirements for AAALAC (Association for Assessment and Accreditation of Laboratory Animal Care) as they pertain to physical facilities, environment, housing, and ventilation/air quality. These structural aspects of the lab are critical to the AAALAC International regulations stating “physical facilities and the methods of care and use for animals should permit their maintenance in a state of well-being and comfort”. 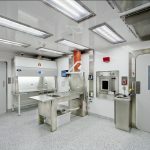 Germfree Integrated Modular is a highly innovative approach that provides new laboratory space, engineered for your specific containment and architectural requirements. All technical (bio-containment) areas are fabricated at Germfree and then shipped to your site. Our engineering team concurrently works with your facility managers to coordinate a final exterior building that allows uniformity with your existing architecture. Additionally, the technical/lab space is designed to easily integrate with non-technical areas, such as administrative and office areas. Read More. Germfree designs and manufactures a wide range of modular facilities, constructed with various types of modules. This includes ISO containers as well as larger modular structures. 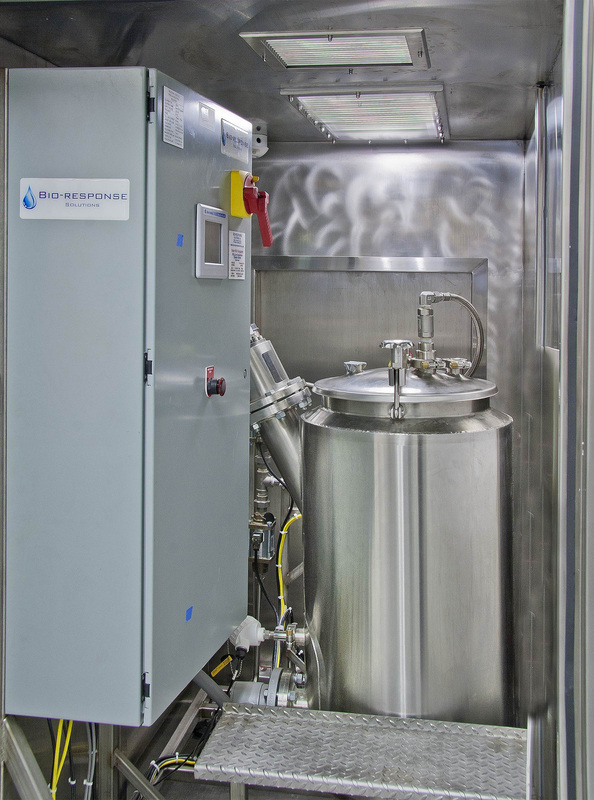 We have deployed modular BSL-3 and ABSL-3 bio-containment labs throughout the world and have a proven track record in international solutions and logistics. 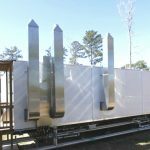 For certain regions, Germfree builds modular labs into specialty International ISO shipping containers. This provides the most practical solution for easy global deployment and installation of an ABSL-3 lab. 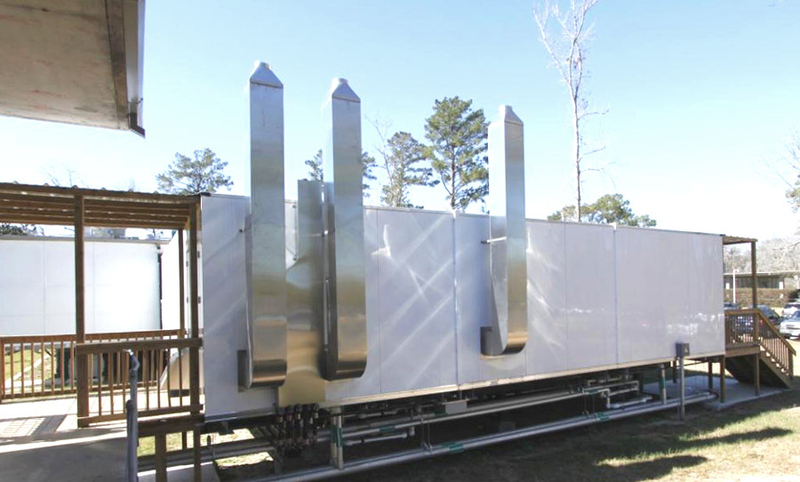 We design and engineer our modular labs to sustain the rigors of international transportation. Germfree is uniquely qualified to deliver ABSL-3 laboratories wherever they are needed. Our extensive in-house engineering capabilities insure that your lab will be built to meet or exceed the standards of a conventionally built ABSL-3 lab. Our facilities are comprehensively engineered for structural integrity, seismic and wind activity and floor loading. ABSL-3 labs must be extremely durable and allow for ease of cleaning and decontamination. Durability is particularly important as they need to withstand the frequent repositioning and moving of heavy racks and cages. We use highly resistant Arcoplast, which is more durable than materials used by traditional contractors. Wood products are never used in the construction of our facilities. Our design engineers work with you to develop the most effective space planning for your applications. The facility is divided into designated workzones and animal housing areas. 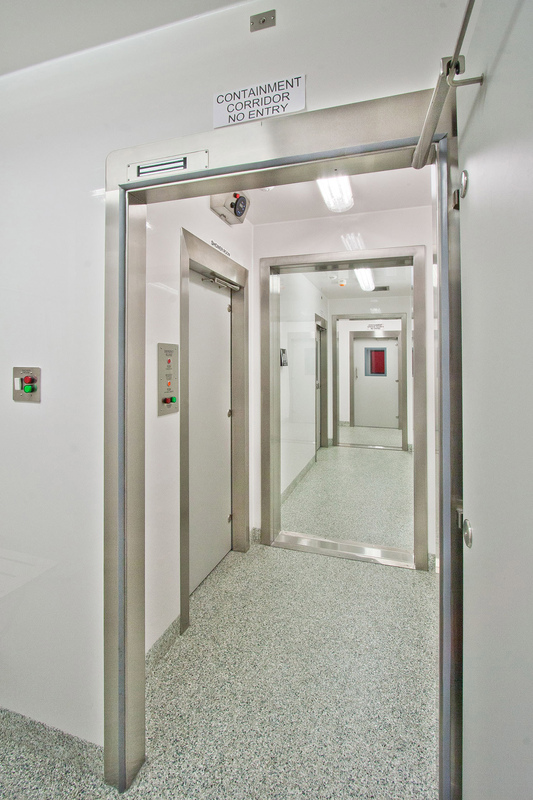 Each area provides the specified components, proper functionality, temperature control and level of bio-containment that is required for your procedures and animal species. Germfree has extensive experience in the integration of critical components into bio-containment laboratories. 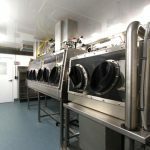 Our range of available components include: ABSL-3 compatible furniture, Autoclaves, Effluent Decontamination, Dunk Tanks, Double-door HEPA-filtered Airlocks, Room Gas Decontamination Systems, Steam Generators, Rapid Transfer Ports (RTPs), Downdraft Tables and Alkali Hydrolysis Tissue Digesters. Germfree is internationally recognized as a leading manufacturer of Class III Biological Safety Cabinets. 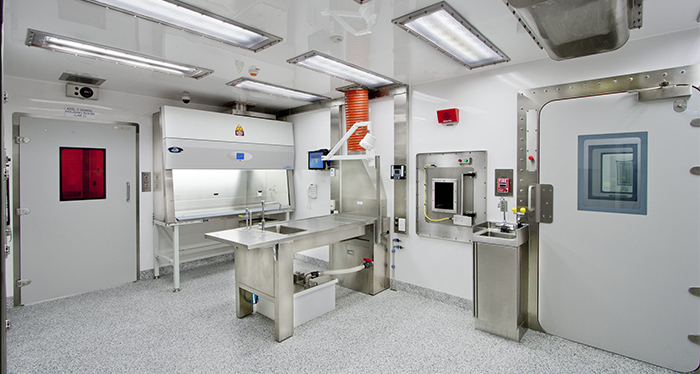 Our Gloveboxes provide containment for diverse research and development applications in ABSL-3 laboratories. Our Class III BSCs are engineered to exceedingly rigorous standards for work that involves dangerous pathogens or unknown agents. We also specialize in custom integration of laboratory equipment and analytical instruments into our Class III Cabinets. 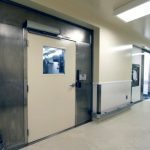 Our systems include Custom Class III Biosafety Cabinets for aerosol exposure as well as Class III Animal Transfer Carts. We Manufacture Advanced Glovebox Lines for the Most Demanding Applications. 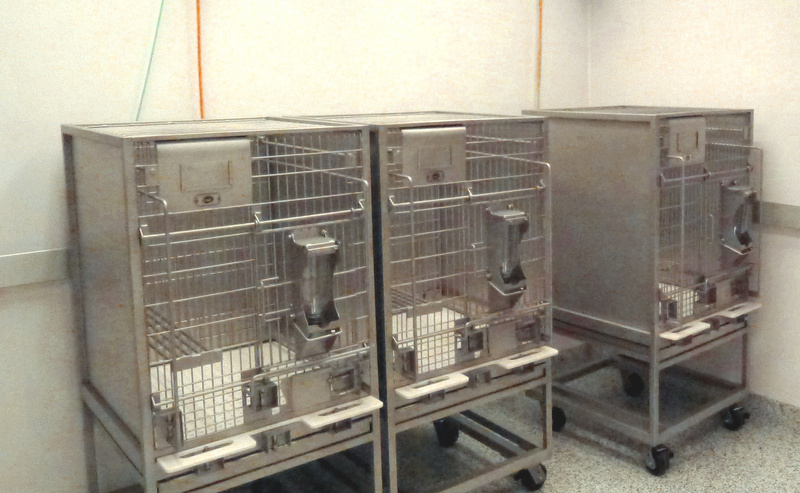 Germfree routinely supplies Class III Cabinets for BSL-4 labs. We have units at USAMRIID, NIAID, UTMB and PHAC. Effective pressure testing is critical to the integrity of an ABSL-3 facility and its components. Germfree engineers and manufactures systems that are pressure tested to rigorous standards. Facilities are Pressure Decay Tested according to filter housing ASME N5-1989 to 10″ w.g. ; and duct or assemblies to 4” w.g. and rooms to 2” w.g. • Test boundaries include: walls, floors, ceilings, APR doors and bubble tight valves. 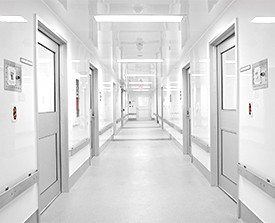 Integrated Air Pressure Resistant Doors compatible with ABSL-3 laboratory design. • Inflatable gasket door seal. 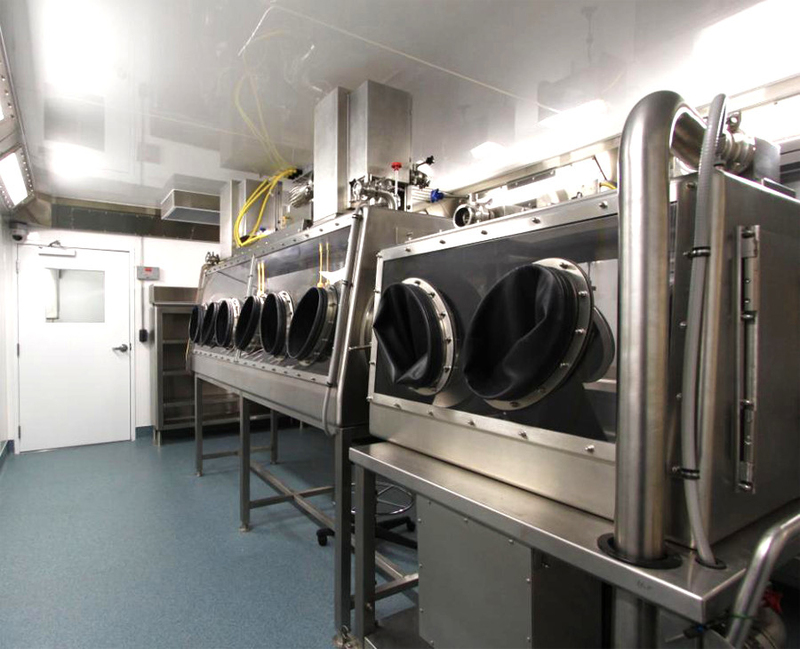 Effluent Decontamination Systems for use in ABSL-3 laboratories. 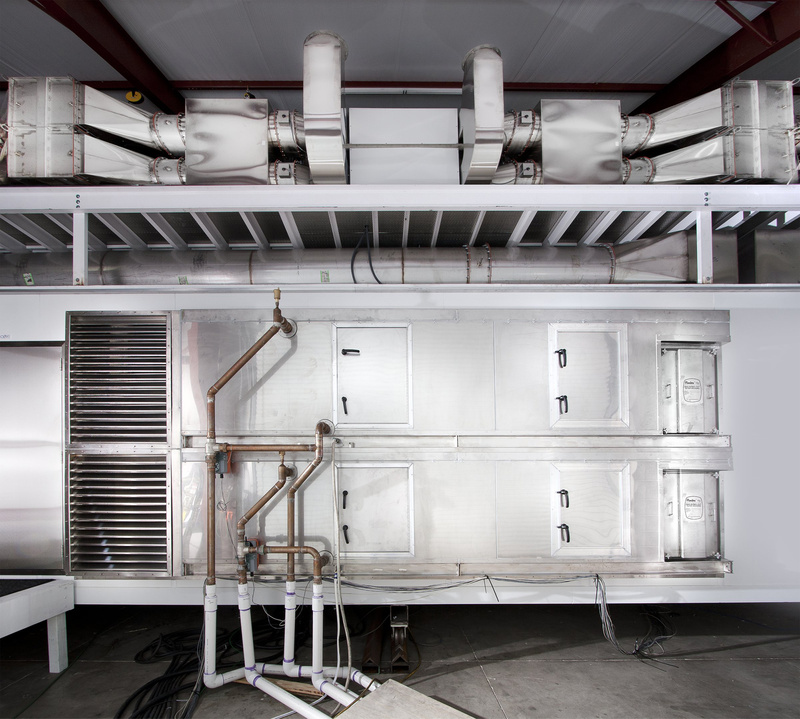 We can provide chemical or heat-kill systems. 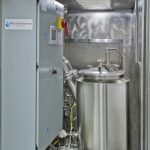 • Double-Door Pass-through Autoclaves with Bio-seal. We provide integrated steam generators. • Bulk /Large capacity, flush floor autoclave. The Autoclave installation is recessed and positioned flush to the floor for alignment with roll-in autoclave carts. Germfree’s HEPA filter banks are used to filter both inlet and exhaust air for Class III Cabinets. • Redundant HEPA Filter and Blower System. • HEPA filter banks provided with gas decontamination ports and semi-automatic PAO scan. Critical service points are accessible from outside the laboratory, allowing for facility maintenance without entering the containment zones. For example, sealed lights are changed from above the facility. ABSL-3 Casework And Countertops: ABSL-3 laboratory casework has stringent requirements for durability, chemical resistance and ease of cleaning and decontamination. Germfree’s custom stainless steel casework and furniture is designed to meet these demands. 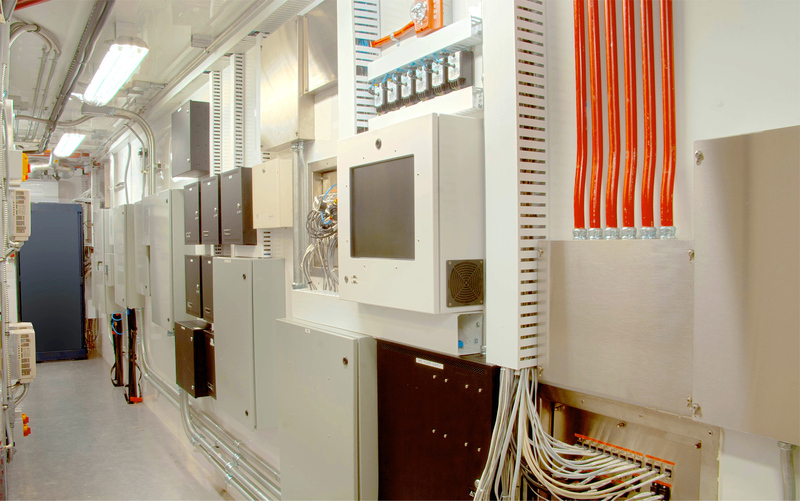 The Building Management System (BMS) is a web-enabled BTL listed BACnet control system. This facilitates trending and data logging for remote management and alarm/notification controls. Custom programs allow for specific failure testing. Monitoring systems include: room pressure monitors, lighting IR detectors, closed circuit TV monitors and low temperature freezer alarms. Germfree also offers 24 hour remote monitoring of HVAC systems. This scanning of components provides critical information for preventative maintenance programs. 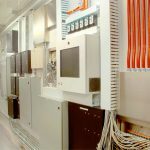 Modular laboratories require an array of complex components and controls that must be precisely configured to work together. 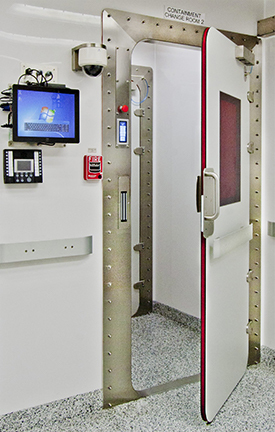 This provides a single facility where all primary and secondary containment systems are seamlessly integrated. Working with Germfree eliminates the need for hiring numerous consultants, architects, contractors and biosafety professionals. 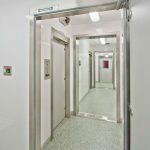 We provide all of the necessary trades and expertise needed to construct a complete laboratory facility, avoiding any confusion of responsibility. 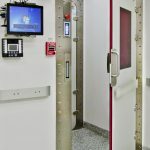 Further, we are the only manufacturer in the world that designs, engineers and manufacturers all of the critical primary containment equipment and secondary containment systems for modular ABSL-3.